Mark Ritchie took this production to the Edinburgh fringe last year and we have been lucky enough to get one of his UK tour dates this year. Mark is a Christian comedian and talented story teller. His show will entertain but also carries a powerful gospel message. Tickets will be on sale at the door and for such a quality performance are a real bargain at just £3 each. Please come along and bring your friends for a great evenings entertainment. 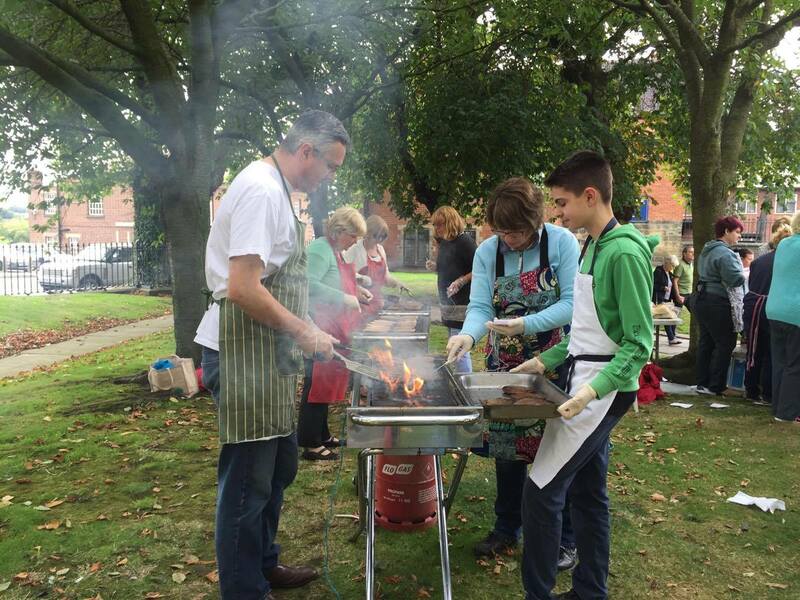 Our speaker in October will be Paul Furbey, Regional Coordinator for Christian Aid in South Yorkshire, who will be updating us on Christian Aid's current work, including the Christmas appeal around the refugee crisis. Christian Aid's vision states "Poverty is an outrage against humanity. It robs people of dignity, freedom and hope, of power over their own lives. Christian Aid has a vision - an end to poverty - and we believe that vision can become a reality." Arguably that vision is needed as much now as ever. We hope that as many men as possible will be able to come along on Saturday, 15th October at 8.30 am to find out more. 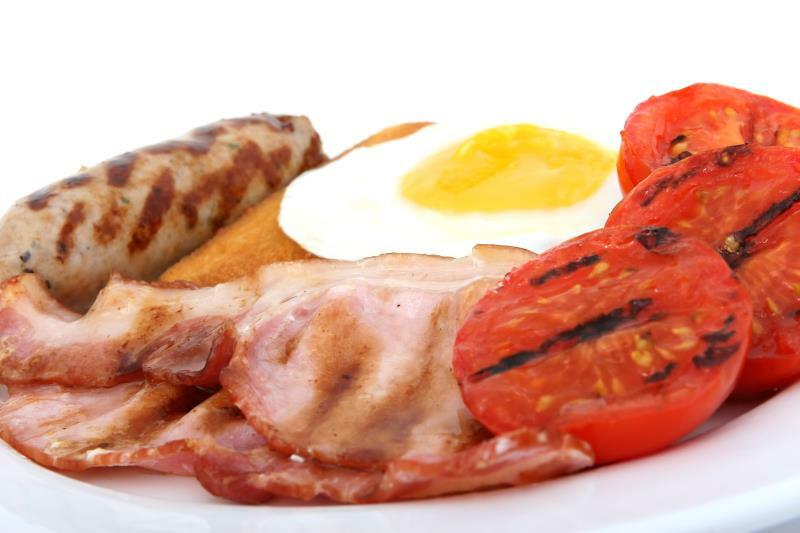 Cooked breakfast is provided and we aim to finish by 10.00 am - if you hope to come, it would be helpful (but not necessary) for catering purposes to let Brian Offiler know (01246 234707 orbrian.offiler@btinternet.com). 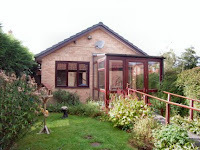 Christian couple offer 2 bedroom detached retirement bungalow in Brimington, available to rent from October. Detached garage & workshop, gardens to 3 sides. Easily managed & low running costs, £500pcm. Phone David & Sue on (01246) 239505 or email susan@dsbotham.freeserve.co.uk for more information. 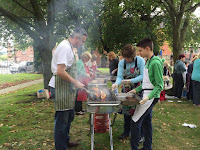 Thank you to everyone who supported and helped with the BBQ last Saturday and especially to everyone at the parish church for letting us invade their grounds. The decision to postpone for a week proved to be a wise one as rain made way for a lovely afternoon this week. 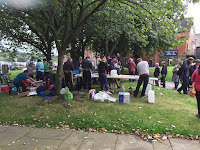 There was a great family atmosphere and the queue for the BBQ was pretty constant as over 750 free lunches were served. Parents and children alike tried out the circus skills and craft activities and hopefully enjoyed their afternoon in town. The well dressing at the crooked spire will be on display in all its glory in the church porch after the service of blessing 9.30am on Sept 10th for a week. 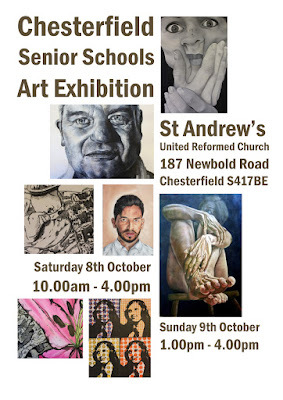 Pop any day in before 5pm (4pm Sunday) to admire the detailed work that goes into producing these wonderful pictures. Any donations given will be used for the upkeep of the church building. 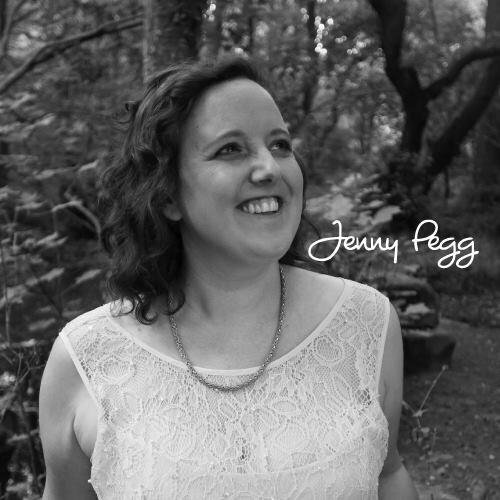 The ladies at St Thomas' are delighted to welcome Sheffield based singer/songwriter and worship leader Jenny Pegg to share her beautiful music and powerful testimony. She is driven by a passion to see people inspired, encouraged and uplifted. We've had a bit of a rest over the summer but Cafe Church is back on Sunday this week at the Compass on West Bars 6-7pm. Doors will be open from 5.30pm if you want to grab an early coffee and a prime seat. This week we are pleased to announce that singer/songwriter Jon Kendall will be performing and sharing his story. Entry is free and everyone is very welcome. Cafe Church will be open on Sundays every week for worship and bible teaching 6-7pm. Church in a relaxed setting at a time to suit you. Yes it's that time of year when we fire up the BBQs and serve free lunches to anyone who would like to join us at the Crooked Spire on Saturday 17th Sept. We will start serving at 12noon and keep serving until 3pm or until all the food is gone, whichever comes first! 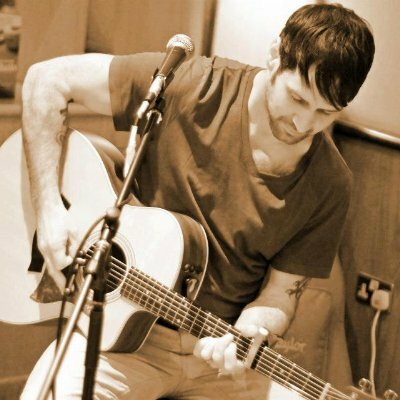 There's live music from our band and Gateway Church as well as entertainment from our resident DJ Nick. Richard from Juggalubs will be there to teach you some circus skills - can you spin a plate? We will have lots of free craft activities for children. So come and soak up the relaxed family atmosphere while you enjoy a free lunch on us - bring your friends!